For sale - gers - barbotan - Property with approximately 650m of living space and 21 main rooms including 20 beautifully decorated bedrooms each with its own ensuite bath / shower room, toilet, TV and telephone. Orangery of about 103 m divided into two luxury suites. Restaurant, lounge, bar / buffet. Outbuildings: Old sheepfold, 2 garages of about 200m, workshop. 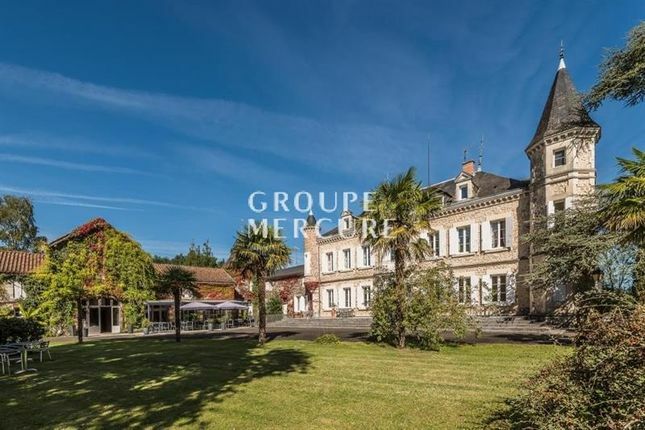 Pool, tennis, petanque strip, 4-hole golf course, 2 ponds, billiard room and lounge. Access for disabled people. Elevator. Currently operating as a **Hotel-Restaurant. Quiet, comfortable and beautiful quality renovation.